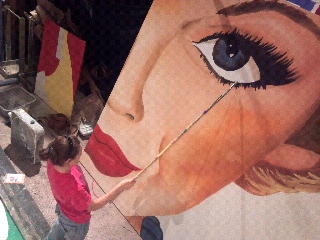 Scenic Artist Jessica Robertson painting a beautiful portrait. 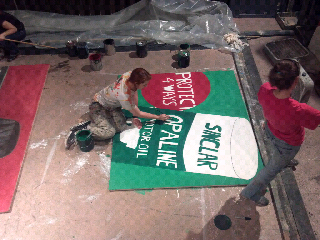 Scenic Artist Jennifer Hebda working hard. 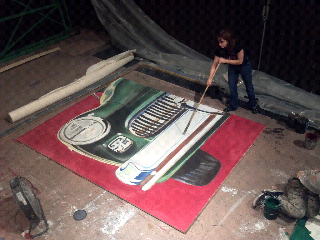 Resident Scene Design Assistant Jessica Moretti helping out with the scene painting. Guys and Dolls Early Production Photos!